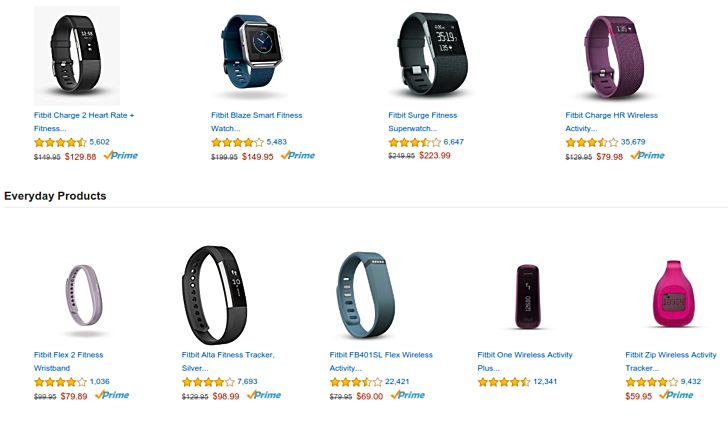 If you are in the United States, and are in the market for a fitness tracking wearable device, you might want to check out the deals Fitbit is offering on several of its products listed on Amazon. To give you an idea, while the Flex has received a $10 price cut, the Charge 2 is currently going for $20 less than its usual price. The Charge HR as well as the Blaze, on the other hand, have received a price cut of $50 each. To take a look at all the deals, head to the Source link below. I guess this is the first time ever Surge is discounted. I got that in the very 1st month of its launch and price never went down until now.